While the calendar may indicate it’s fall, the weather doesn’t always agree. In fact, a group of my college students just did a group presentation on “How to Dress for Winter in the South” and they hit the dilemma on the head. (And even if you don’t live in the South, I think you’ll find similar patterns wherever you live). November is the first month you feel safe pulling out the sweaters, but temperatures can fluctuate so much during the day that if you don’t have a short sleeved shirt on underneath, you’ll find yourself burning up by lunchtime! 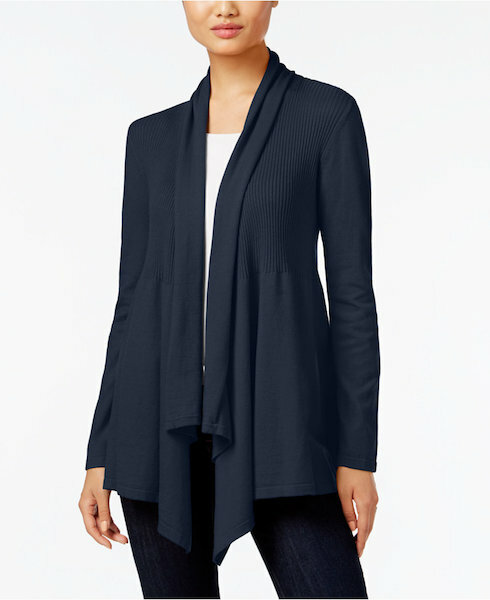 Layers are the key to November, so if you’re like me and can’t wait to get cozy, opt for a lightweight cardigan. 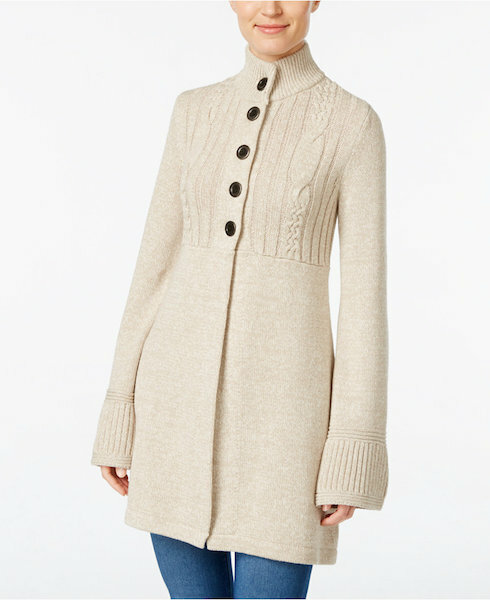 The weather starts to reflect the month more in December, so it’s typically safe to switch from a cardigan to something more holiday appropriate, like a cable-knit turtleneck in winter white. The nice thing about December weather in most areas of the country is you can typically get by during the day with a good sweater instead of having to wear and carry a jacket with you wherever you go. Now January is a different story. For some reason – at least for the past few years – this is when winter unleashes it’s fury. And typically we’re not talking about the beautiful white, fluffy snow we’re used to seeing in holiday classics like “White Christmas” and “Holiday Inn”. Instead, you’re more likely to run into freezing rain and gray slush in the streets. These are the days where I won’t leave the house without a pair of waterproof boots and a down jacket. Ironically, I opt for a thinner sweater during this coldest of months because I know I’ll be wearing it under my heavy coat. 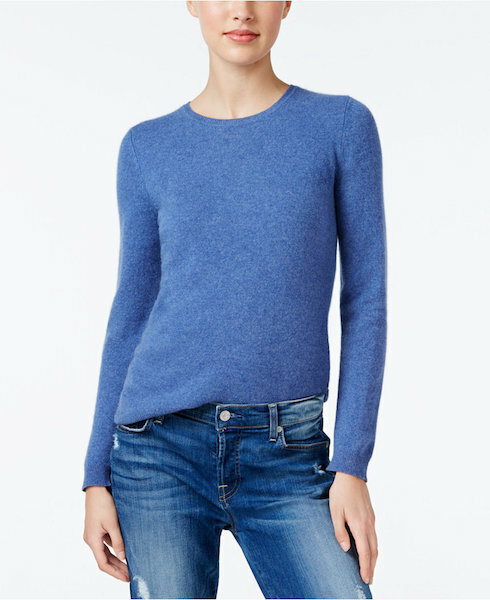 So go on, grab those sweaters (you know you want to). Whether you’re already bundling up in the northern states because you have to or it’s dipped below 70 degrees in Florida and you’re wearing winter fashion because you can, this is the time to look cute and cozy! If you’ve started pulling out your sweaters from last year and aren’t thrilled with your personal collection, this is the day to stock up! Macy’s One Day Sale starts today and you’ll find the lowest prices of the season on everything from sweaters and shoes to blankets and blenders. Click here to start shopping and save upwards of 75% off!